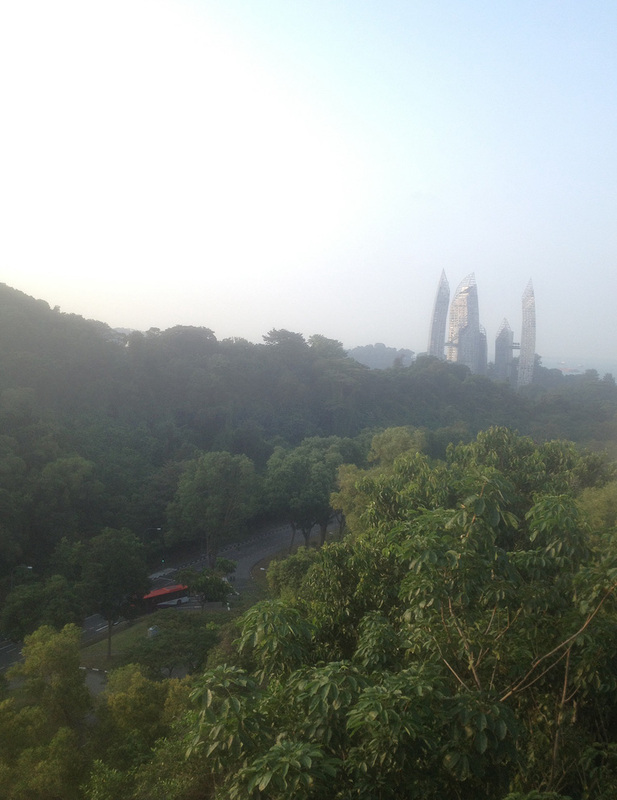 Running the Southern Ridges, Singapore (Marang Trail to Kent Ridge) | JustRunLah! Sights along the Southern Ridges trail. Southern Ridges, Singapore. Running from Marang Trail to Kent Ridge. A few days ago I found out about the Southern Ridges trail, and I immediately knew I had to run it. I did it this morning and I enjoyed every bit of it. The trail is about 9km in total, it connects three parks (Mount Faber Park, Telok Blangah Hill Park and Kent Ridge Park) and can be separated into the following trails: Marang Trail, Faber Trail, Henderson Waves, Hilltop Walk, Forest Walk, Alexandra Arch, Flora Walk & HortPark and the Canopy Walk. Having ran various routes in Singapore, this one has gone straight to the top of my list. I don’t really know why it is not so popular with runners (or is it?) but I would definitely recommend it. It is a rather challenging route (quite a few uphills) but offers breathtaking views, clean and fresh air, and it is totally car-free. But let’s take things from the beginning. I entered the trail from Marang Road, which is right beside the Harbourfront MRT station (take Exit D). It is extremely easy to find as there are signs and markings on the pavement. There, I was greeted by one deck of stairs after the other. Within a distance less of about 500 meters, there is a gain of about 90 meters, so you get the idea. When on top, a quick stop by The Jewel for photos of the beautiful panoramic view of the harbour, the cable car and the southern islands during sunrise is a must. Entrance to Marang Trail. Right by Harbourfront MRT station (Exit D). Next up is the Faber Walk. Amazing views all along, somewhere along the route is supposed to be a Merlion sculpture but I missed it. Hopefully next time I get to see it. Most of the route is sheltered, which is great for a morning run. Panoramic view from top of Marang Trail / Faber Walk. Now that’s an impressive pedestrian bridge. It is hanging at 36m above Henderson Road and has a wave-form shape, with curved steel ribs that alternately rise over and under its deck. The curved ribs form alcoves that function as shelters with seats within. The wave-forms are lit with LED lamps at night from 7pm to 2am daily. I have to get back there at nighttime. Reflection at Keppel Bay as seen from Handerson Waves bridge. 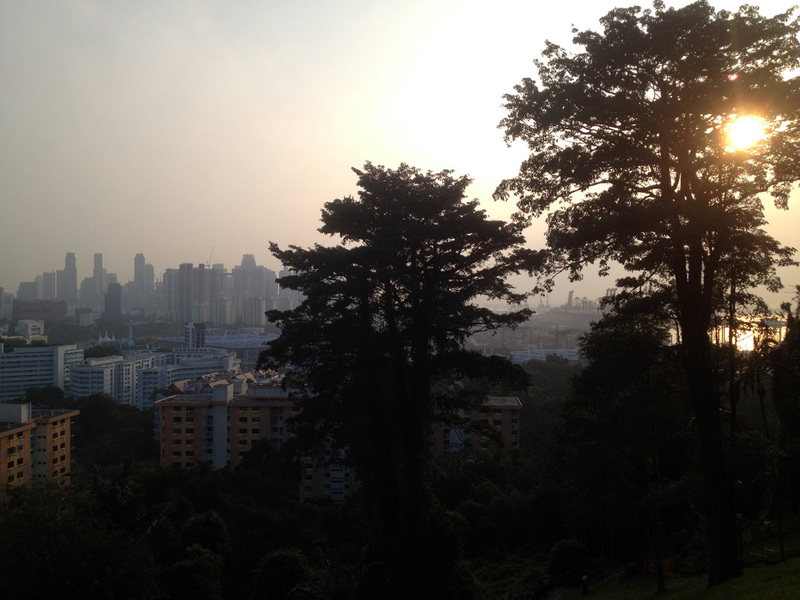 I missed the entrance to Terrace Garden, the highest point in Telok Blangah Hilltop Park. Will be back for this! Other than that, it is a downhill run that serves more as a connector rather than an attraction itself. My favourite part! The Elevated Walkway, is a metallic zig-zag structure that offers you the experience of running through a tropic forest at eye-level with the forest canopy. The walkway’s height varies from 3 to 18 meters, and the route is about 1 km. 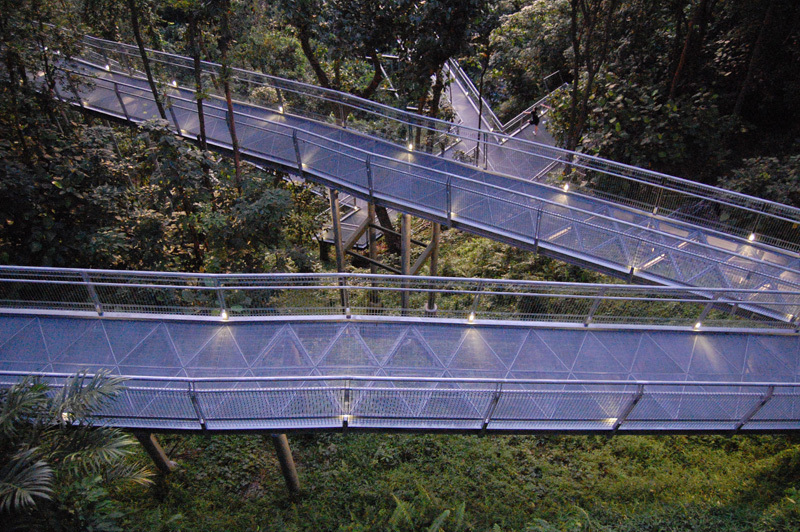 The metallic walkway is great to run on, and there is a constant breeze of fresh air as you run through the treetops. That was an amazing experience, please give me more of that! A pretty nice 80-meter bridge. You can take a glimpse of the Interlace condo. At the end of the Alexandra Arch, there is a path lined with flowering plants which leads to the HortPark. HortPark is a gardening showcase centre. It comprises 40 showcase gardens and offers a myriad of exciting ideas and suppliers’ contacts for gardening enthusiasts. Tip for runners: there are water fountains near the restrooms. There is a rather long upslope part towards the end, leading to the Canopy Walk. 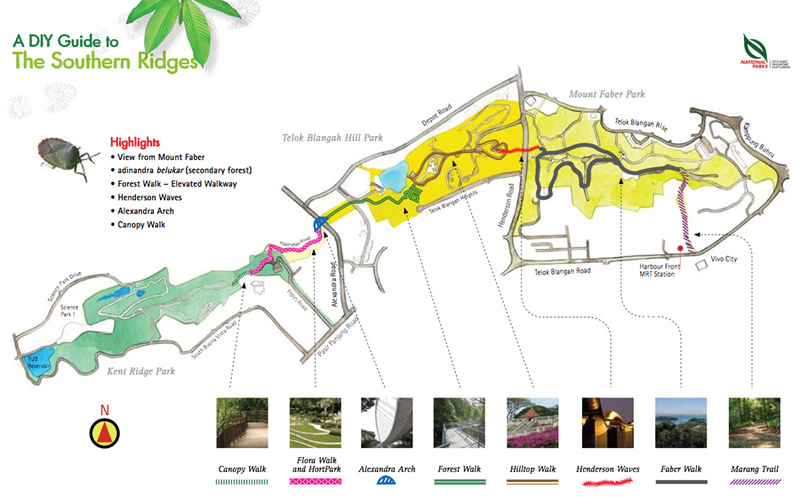 This is a 280-metre long boardwalk that offers a great view of Kent Ridge park and the battlefield. Lots of birds as you run, once again, through the treetops. Keep on running straight after the canopy walk for about 300 meters and then make a left. After a rather steep downslope you will get yourself to South Buona Vista Rd. Make your way uphill till you get to NUH intersection. From here, you will have three ways to enter the NUS campus: 1) Kent Ridge Rd. is the most challenging and will eventually get you to the central library (you can exit to Clementi Road after that). 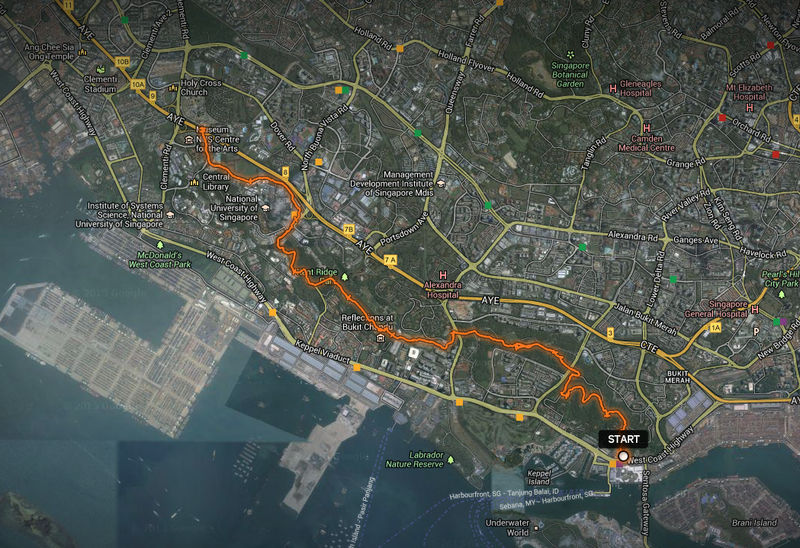 2) Prince George’s Park Road is mostly downhill and will take you closer to Pasir Panjang Road. 3) Lower Kent Ridge Rd. will get you to the most central areas of the campus. Tip for the latter option: Water fountains near the NUS sports facilities. If you want to end up to West Coast Park via the West Coast Highway, make your way to South Buona Vista Rd as above, but this time go downhill instead. You will hit West Coast Highway soon enough, make a right and keep on running on the sidewalk. West Coast Park is only about 2 km away. 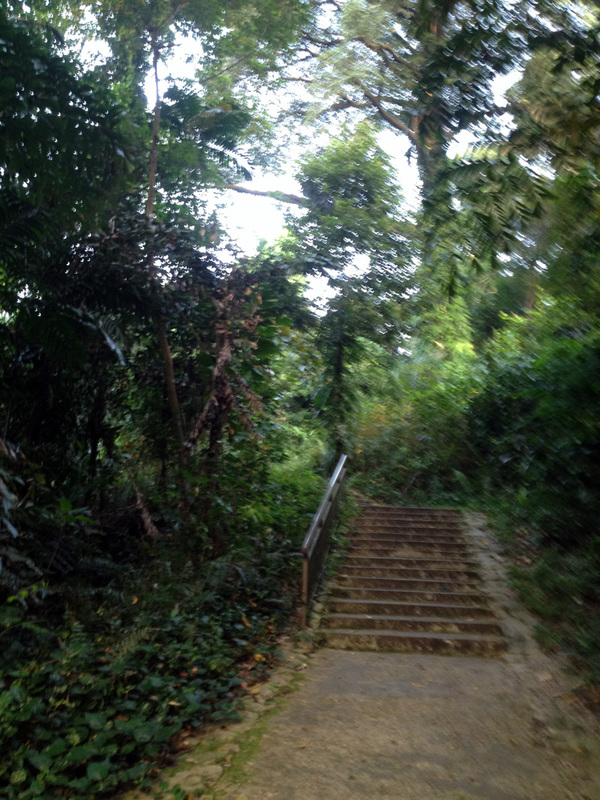 Marang Trail to NUS Kent Ridge campus. Start your own personal running blog with Just Run Lah! 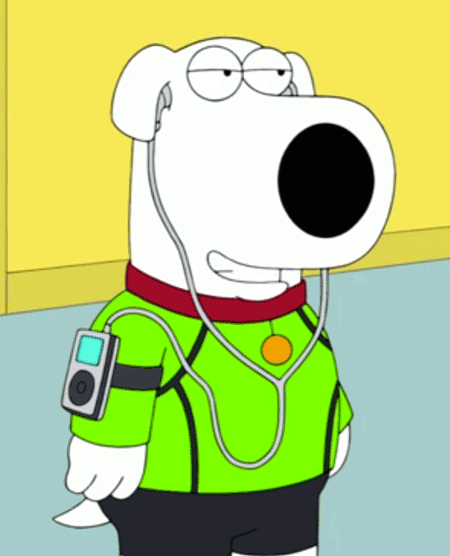 Does anyone know of a running club (including chicks) that runs the southern ridges 1 -2 times a week? If you find a run club, please let me know! New to SG and looking for fun ways to meet people. Thank you! great info — thank you!! Hi may I know it will take how long to complete the entire journey. Thanks.